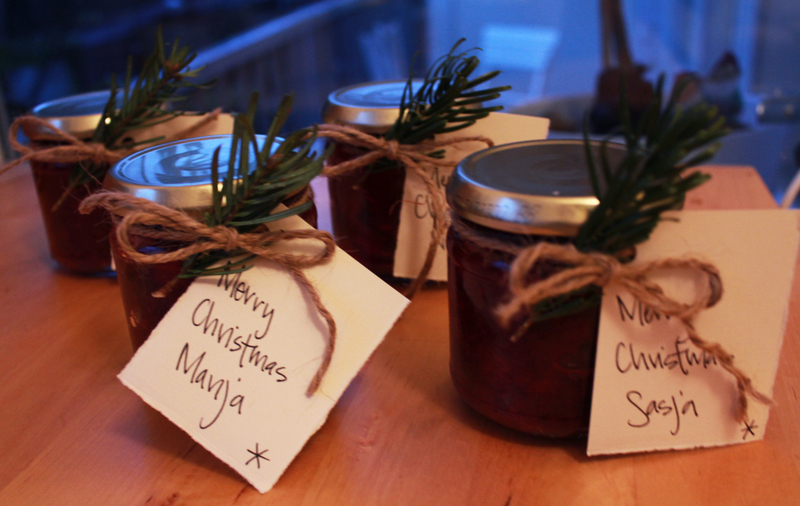 Homemade cranberry sauce for a few dear colleagues and friends. My work is completed for the next week and my cousin arrives from Spain in the morning. I feel so happy looking forward to the next days of baking and cooking, friends, family, singing carols in a room full of lit candles, and giving gifts. I know many people feel a lot of stress around the holidays and I am thankful for the calm and joy we can find in the simple things, like placing a small jar on a desk.